The Newport Beach Boat Parade theme this year will be "Surf, Sand & Santa" featuring nearly 100 boats and Newport Beach residences decorated in elaborate holiday lights. 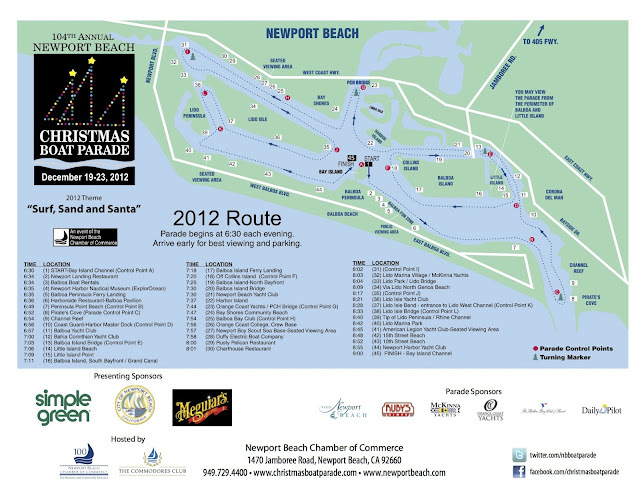 The boats will begin to cruise along the 14-mile parade route in Newport Harbor starting on December 19th through December 23rd. 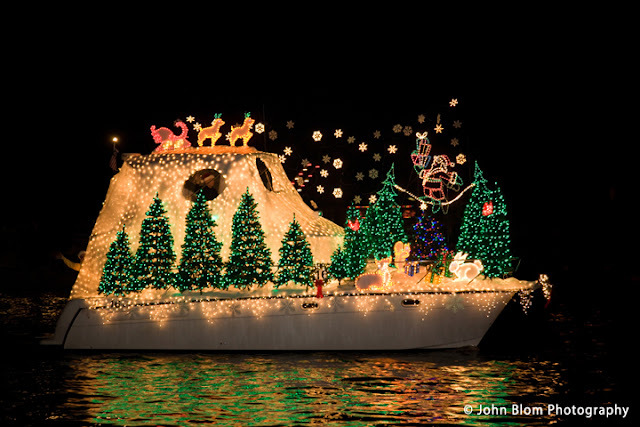 The boat parade will be from 6:30-9pm, and fireworks will light-up the sky on December 23rd at 9pm. Wondering where the best place to see the parade is? We have a printable map for your convenience. 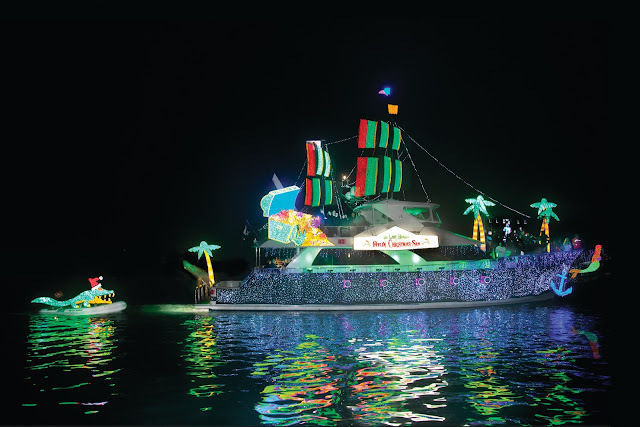 I was looking for blogs about Newport Beach to share on our site and I came across your post...If you're open to it, shoot me an email at jane(at)dwellable(dot)com.